GlowHost has been selected by the HostReview’s editorial staff to be one of the Top 10 Hosts in the Best Dedicated Server category for April 2016. In fact, GlowHost came in 2nd place of all dedicated providers. Our staff closely monitors a variety of factors to determine the companies that we will recommend to our readers. The Top 10 Web Hosting Awards are based on the overall product offering, value, customer service and users’ reviews of the selected companies. We have included GlowHost in the Top 10 lists this month because of both recent developments at your company and well-earned reputation for quality. Excellent job to our special team of incredibly talented server craftsmen and women, and thanks to our loyal customers many of who have been with us since we opened the virtual doors in 2002. This entry was posted in Awards and tagged Awards, business hosting, dedicated server, shared hosting on April 14, 2016 by Matt Lundstrom. Shared web hosting is exactly what it sounds like. Several different users share space on one web server. This option can usually be considered the cheap web hosting option because all the users sharing the server help with maintenance costs. Shared web hosting includes a sysadmin, or systems administrator, to maintain the server – which is great if you’re looking for something cheap, but it can be a big drawback for those who want to have control over their website. If your website requires intricate software beyond the standard options, or if you consider yourself a power user, this is probably not the best option for you. A dedicated hosting service is one where a user rents an entire server for his or her own use. It’s a wonderful option for the user who wants to be in full control – everything can be customized to your website’s needs. With dedicated hosting, sysadmins can and generally should be added on. At GlowHost this is called a “Managed Dedicated Server.” The are others who use dedicated web hosting that prefer to do their own server maintenance. Usually, clients who select more expensive dedicated web hosting options like a dedicated server do so because their websites draw a large amount of traffic, or their business depends on the reliability of their web site and email service. If you expect to have an extremely popular website, or your web site is critical to how you earn your income, and want the ability to add customizations beyond the basics, then dedicated web hosting is one of the best ways to go. Also, a major bonus that comes with dedicated web hosting is extreme security. Because you’re the only client on your server, you can make it as secure as you want. On the other hand, if you do not know what you are doing, it is often better to opt for a managed server where securing and ongoing maintenance of the server is handled for you. New hacks come out every day and one of a good web host’s primary job functions is to know about and patch the server for these potential issues before they become issues. GlowHost’s managed dedicated server service handles all aspects of security for you from installation security tweaks, kernel updates, managed firewall configuration, and ongoing patching. VPS stands for virtual private server and runs its own copy of an operating system within the main server’s operating system. This means one physical machine (or “node”) can have many virtual machines all running the same, or different operating systems than the physical server that houses them. One huge benefit of VPS hosting is that the user gets administrator or root access to that operating system. Typically, a VPS has little, to no redundancy and can be a very inexpensive way to have your own private server on the Internet. VPS can easily be scaled up or down in regards to resources like CPU, RAM and disk space. Usually, VPS hosting is offered in addition to shared or dedicated hosting. VPS hosting can add a layer of security because individual servers are kept separate from one another, and each can run its own operating system. On the other hand, VPS can suffer the same security issues as an unmanaged dedicated server. If you are not a talented sysadmin and not making regular security checks, it is highly likely that your VPS will become compromised at some stage in it’s life. You may want to consider a managed VPS if playing sysadmin is not your thing. The newest form of hosting is known as cloud hosting. While the word ‘cloud’ is thrown around in many circles to simply mean ‘The Internet’ that is not really what a cloud is. True cloud servers are groups of dedicated servers (or “nodes”) which have been connected to each other so that they can share resources from a common resource pool. Once the cloud is communicating with itself, then it can begin creating Virtual Machines, or VM for short. Virtual Machines are similar to VPS in the sense that you have administrator or root access and are easy to scale, but they primary difference is redundancy. When you have a traditional VPS, if the primary node goes down, so do all the VPS! With a true cloud server, if one of the dedicated nodes goes down, all the other nodes in the cloud will carry it’s weight until it can be repaired and put back into service again. This means the Virtual Machines will keep on running just as if nothing ever happened. Another benefit is that resources like RAM, CPU and disk space can often be added or removed from a Virtual Machine without the need for a reboot, further increasing overall uptime. Virtual Machines are the same as VPS and dedicated servers when it comes to security; it’s best to go with a managed solution if you are not a sysadmin, but need the power and flexibility offered by a cloud-based VM. Ultimately, you have to decide how much power, stability and control you want over your website and data in order to decide which type of web hosting is right for you. There is a lot of difference between shared, dedicated, VPS and cloud hosting, and with that, the capability to customize the type of hosting you need. 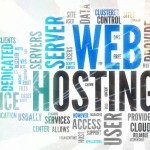 This entry was posted in Web Hosting For Beginners and tagged dedicated hosting, difference between shared dedicated and vps hosting, shared hosting, VPS hosting on April 1, 2016 by DJ Montauk.